Join us in the city of Rock and Roll and get your LibGuides ready to go Platinum! We will show you how to auto-tune you guides to get the most range and build better, more organized visually appealing guides. You will need to be a System Admin to access all of the tools we will be covering in the session. We also spend some time learning how to integrate other Springy tools into LibGuides including LibAnswers and LibCal. 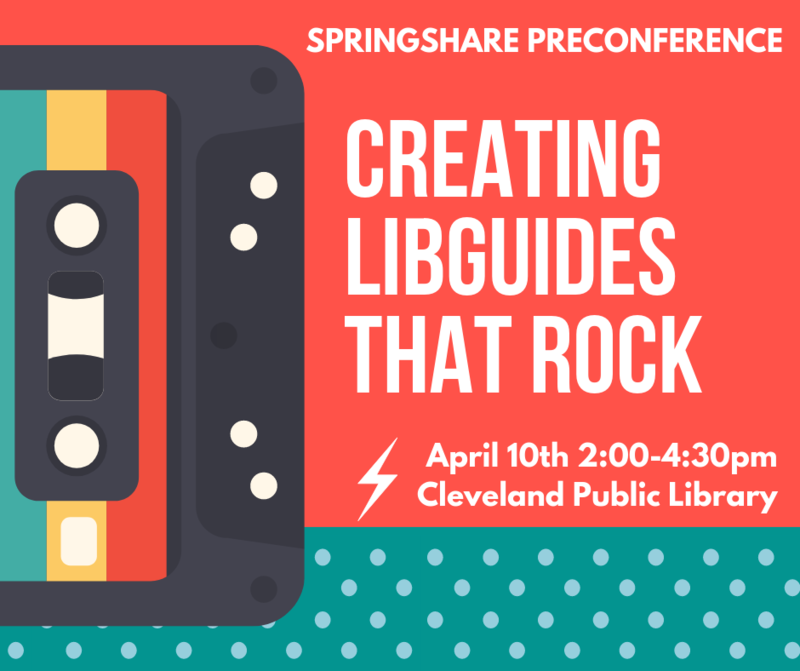 While this session will cover LibGuides CMS only features and LibAnswers, you do not need to have either of them to attend. (but after you leave you might want to upgrade). The session has an academic library focus. Clean up your guides and your system. Integrate other Springy Tools into your site, including LibAnswers and LibCal. This event is held at the Cleveland Public Library, Louis Stokes Wing 525 Superior Ave - 2nd Floor - Learning Commons - Main Floor Area, Cleveland, OH 44114. You do NOT need to be registered for ACRL to attend this event. The event is open to all current Springshare Clients. Space is very limited so please be sure you can attend prior to registering.